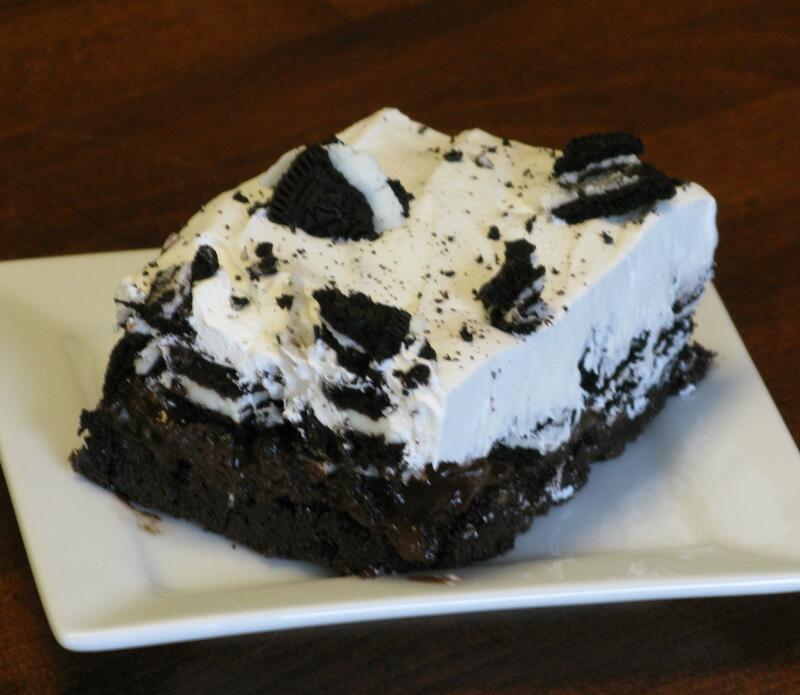 The original recipe for this particular dessert is my Oreo Trifle that I put together a long time ago. Since then, it’s been a huge hit…but I also wanted to create an easier recipe using the same ingredients as the trifle, only it’s more like a pie. So, you could say this is the sister recipe of the original. This past New Year’s Eve, I whipped up one of these and took it over to my brother’s house for a family gathering to stuff our faces and shoot fireworks. Neither one of my brothers had tried this particular dessert before, but I knew they would like it because of all the layers of deliciousness going on with it. After wolfing down his first piece, my oldest brother said, “You really hit a home run with this one,” and went back for another “taste” test. Shortly after that, my other brother was scraping his plate and mumbling how awesome it was before grabbing another piece. And to top it all off, my husband later told me, “I think that might be my favorite dessert so far.” Needless to say, this passed the dude test. Dude approved. Bake brownies according to package directions in a 9×13 inch baking dish, cool completely. Whisk pudding mix with 2 cups of milk until combined, place in refrigerator until ready to use. After brownie has cooled, spoon pudding on top of brownie in an even layer. With Oreo cookies and remaining 1 cup of milk, dip each cookie in milk, then break into chunks and put on top of pudding layer. Reserve 2 cookies for topping. After cookie layer is finished, spread container of whipped topping on top of Oreo layer. Break up remaining cookies and sprinkle on top of the whipped topping as a garnish. Let dessert set in fridge for 2-4 hours before serving. Store in refrigerator.